Every now and then I want to print some information I found online or if I made a purchase on eBay, I like to print up a copy of the order. These printed copies usually end up in binders so I like to have at least a one-inch border on the left-hand side of the copy to be printed. Here’s how to adjust these borders in Opera, Chrome, and Firefox. Use Ctrl + P to open the Print dialog. In the Print Preview side of the window, you’ll see a dotted border surrounding the page to be printed. If you place your mouse cursor on this line, it turns into a two-sided arrow. Just click down, hold and drag this border to the size you want. You can see the size in the little black rectangular shaped boxes on each border. I drag it until it reads 1″. 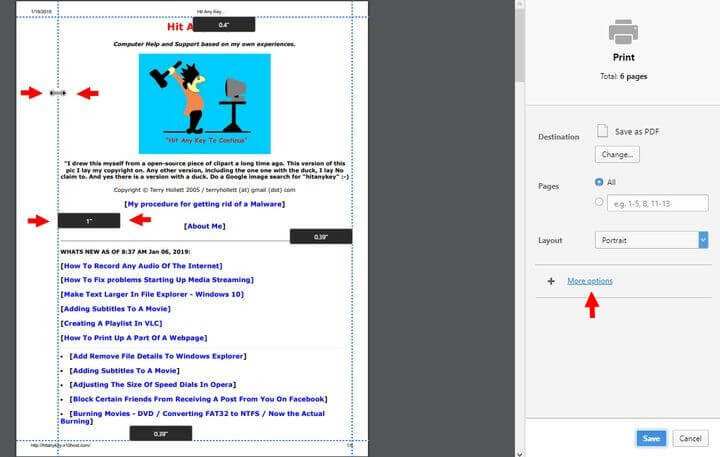 Both Opera and Chrome use the same method, except the Print Preview and the Print dialog boxes are reversed. If the borders are not showing, just find the + More options or More settings in Chrome. Then, in the Margins section, click on Custom. Now the borders should be there. 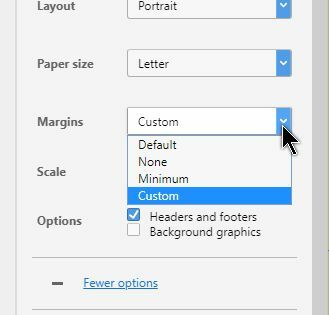 When you want to print in Firefox, click on the 3 stacked lines at the top right-hand corner and choose Print in the drop-down menu. This takes you to a Print Preview. 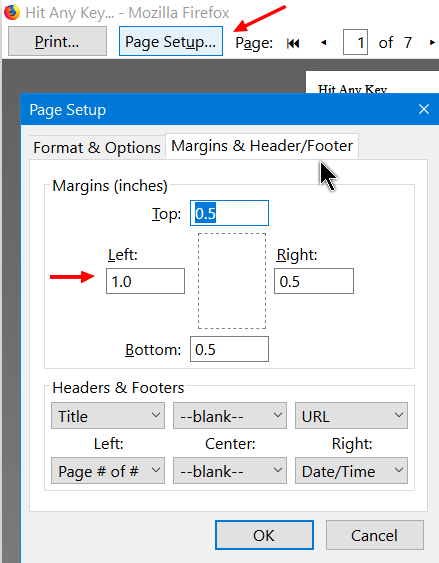 Click on the Page Setup button, then click on the Margins & Header/Footer tab. Then type in how big you want your border. I typed 1″ in the left Margin box. I don’t bother changing the others– that’s how I do it. Note: Using Ctrl + P in Firefox will bypass this Print Preview option and go directly to the Printer Settings dialog.